During Barrett Jackson’s Las Vegas sale this weekend, the near unthinkable happened when a decades old front drive Honda sold, and it was considered a new record. The fact that we can even consider “Records” a thing when discussing Sport Compact cars is a sign that we’ve moved into a new generation of automotive collecting. 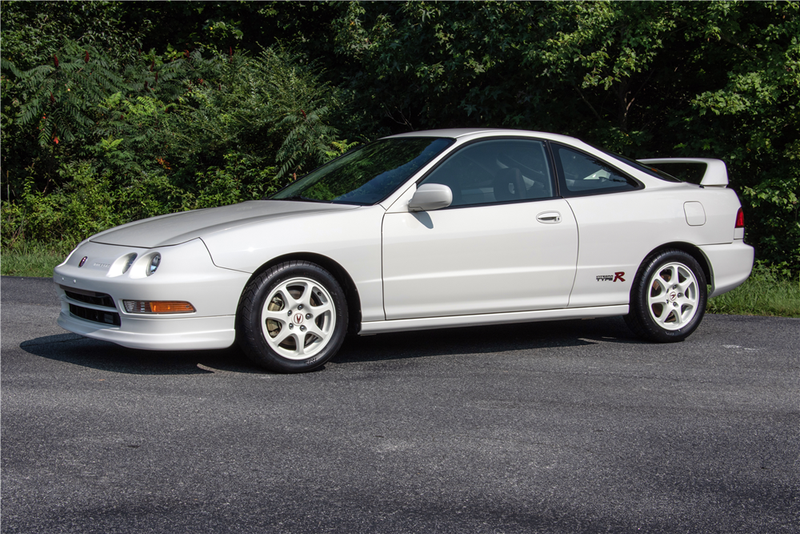 But anyway, someone paid NSX money for an Integra Type R with just under 1200 miles. Admittedly, this is quite possibly the single cleanest example of an ITR left in existence. The engine bay looks immaculate, and the interior is spotless. It’s a collector-grade Honda if ever there were one, and to cap things off, it’s #37 of just 320 examples made. According to a friend who was on the stage when the sale went down, the bidding started at a paltry $5,000, and was rapidly up to $30,000 within seconds. After a brief lull, the bidding again jumped up to $50,000 in quick succession. From there it was a pair of bidders slowly increasing the price in smaller increments until the final bid of $58,000 was placed. After buyer premiums, the final out-the-door price was 63,800 real American greenbacks. What do you think? Would you have paid that incredible sum for this interesting late-1990s compact? If you’re the new owner, perhaps you’d like to bring this car to Radwood Philadelphia on October 14th? See you there.